A building at 1225 S. Clark Street in Crystal City, set to become home to the PBS headquarters. (Updated at 10:45 a.m.) PBS has signed a new deal to keep its headquarters in Arlington, though it will be relocating to a different building in Crystal City. The media company announced today (Tuesday) that it will be moving from its current space at 2100 Crystal Drive to a 120,000-square-foot office at 1225 S. Clark Street. 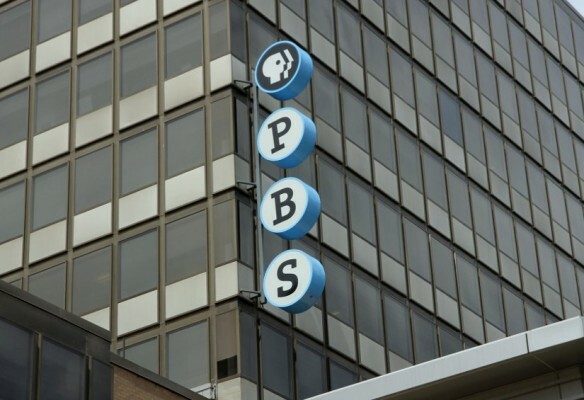 PBS agreed to a 15-year lease in the building, and plans to make the move sometime in “mid-2020,” per a press release. The nonprofit has been based out of the 2100 Crystal Drive property since 2006. Its new headquarters is adjacent to both the Earth Treks climbing gym and the headquarters of the U.S. Marshals Service. The move takes PBS from one property controlled by developer JBG Smith to another. 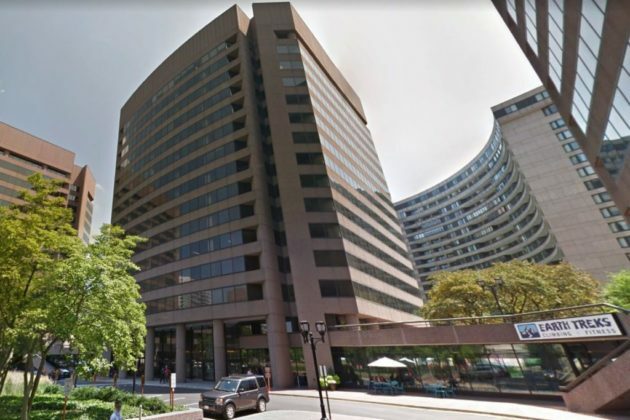 The company is the dominant property owner throughout Crystal City, Pentagon City and the nearby Potomac Yard, controlling millions of square feet of space even after helping bring Amazon to some of its properties. The March of Dimes nonprofit also recently announced plans to relocate to the area, moving to a building at 1550 Crystal Drive. Attracting businesses to the area remains a major concern for the county, even with Amazon set to take up as much as 8 million square feet of office space in the area someday. The county is hoping many property owners, like JBG, will use the company’s arrival as the impetus to refresh some of their older buildings in the area, and further reverse Arlington’s spiking office vacancy rate. PBS member station WETA is also one of the county’s more well-known office tenants in South Arlington, though one of the TV station’s facilities could also be on the move. County officials hope to someday acquire the station’s studio property in Nauck, in which programs like the PBS NewsHour is produced, then use the land for the redevelopment of Jennie Dean Park.